As you know – if you read Naked Authors with any regularity – I travel to England about four or five times each year, to visit my mother and of course, to work. My days there are never vacation days – there is always so much to do. 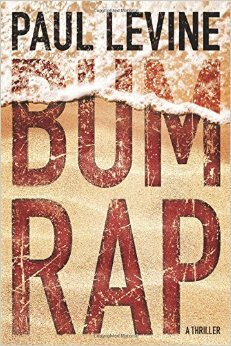 I haven’t had a real vacation for years – I don’t have time! 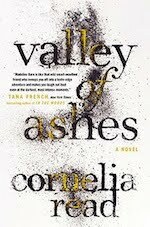 I was grouching about this last year to my friend Corinne, who suggested that we should try to go on some “short break” adventures during my trips across the pond. And we know that once you’re on that side of the Atlantic, well, the flights are really cheap. Having made that decision, we immediately booked three days in Marrakech last December (the flights from London Gatwick to Marrakech were cheaper than flying from San Francisco to Los Angeles). We had a blast! So on this last trip, we decided to stay in England, and we went to Bath. Now, we’re both very familiar with the city, but this time we were staying in an apartment at Number 4, Sydney Place, the former home of Jane Austen. Yes, that Jane Austen – who’s had more TV and movie deals from her novels than any other author, living or dead, I would imagine. 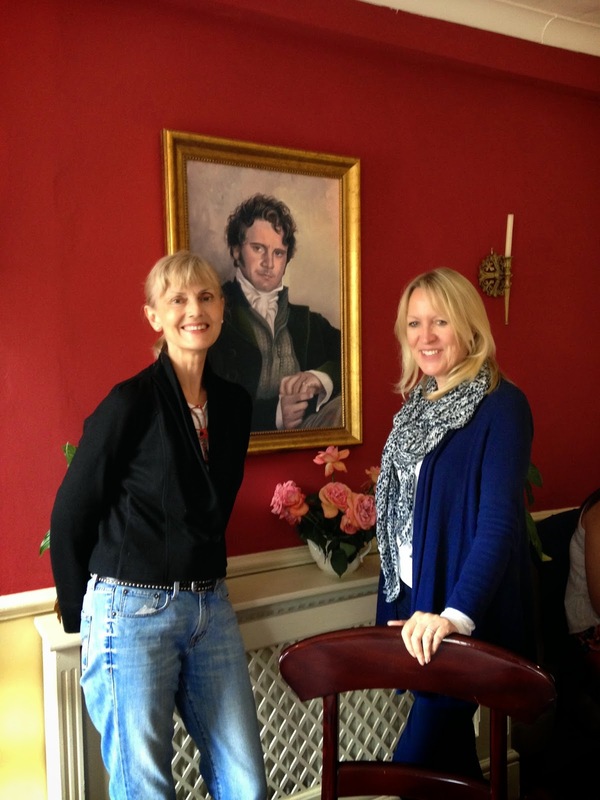 Seriously, I have always been a Jane Austen fan, so was very excited about the whole trip. 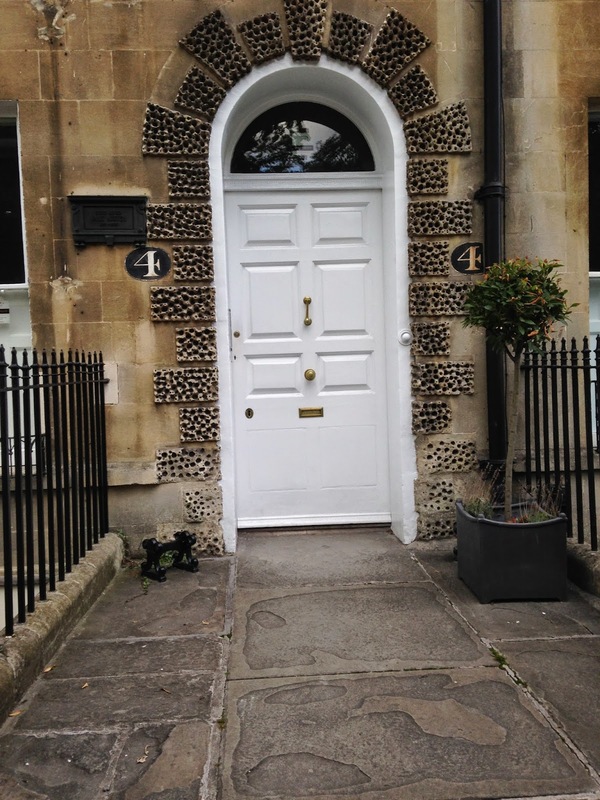 … and went straight to our apartment upon arrival in Bath. Oh my, it was lovely. Everything was perfect – though thankfully, it wasn’t furnished in the manner of Georgian England, but was more “urban living meets country chic.” Here are a few photos our temporary home. Yes, we could have seated a good twenty people around that table. We wanted to pack as much into our two days as possible. We’d both been to the Roman Baths before, so no need to do that (the tour is highly recommended, if only to marvel at Roman engineering). But we did a bit of splashing around – Bath was a spa town even before the Romans discovered the health-giving effects of the famous hot springs – they named it Aquae Sulis, but the City (Bath is not technically a town as it has a cathedral – which in Britain gives it City status) became very popular among the Georgians, who came in droves to take the waters, and in turn they left the city with a legacy of stunning architecture. I could barely keep my nose out of real estate agent windows. 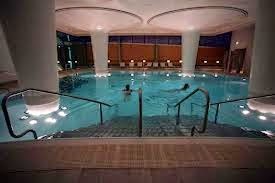 Back to the dipping – we decided to partake of the waters with a visit to Thermae Bath Spa, a never ending series of baths – fed by the famous ancient springs – on several levels. To get in you had to pay a pretty penny, which made me wish my bank account was fed by some sort of hot spring. Having donned our bathing suits, we skimped on the “towel/bathrobe/slippers package, and just went for rental of the three quid a time towel – later, with dripping wet towels and slipping all over the place, we thought we should have ponied up the extra for the robe and slippers. The evening was beautiful – summer, warm, light – and there we were, bobbing around in the rooftop pool, with steam edging up and turning my hair curly. The arrival of two rugby teams also turned my hair curly, which was when we thought we should probably try the steam rooms and showers. We tried every pool in the place, and came out very wrinkly – well, more wrinkly than before we went in – and decided it was about time we had a bite to eat. I wish I could remember the name of the restaurant, but believe me, after lolling around in those baths, you work up an appetite. I don’t think the Romans invaded – they waddled. Next day we were on a mission to score tickets for a play called Bad Jews at the Ustinov Theater, part of the Theater Royal. 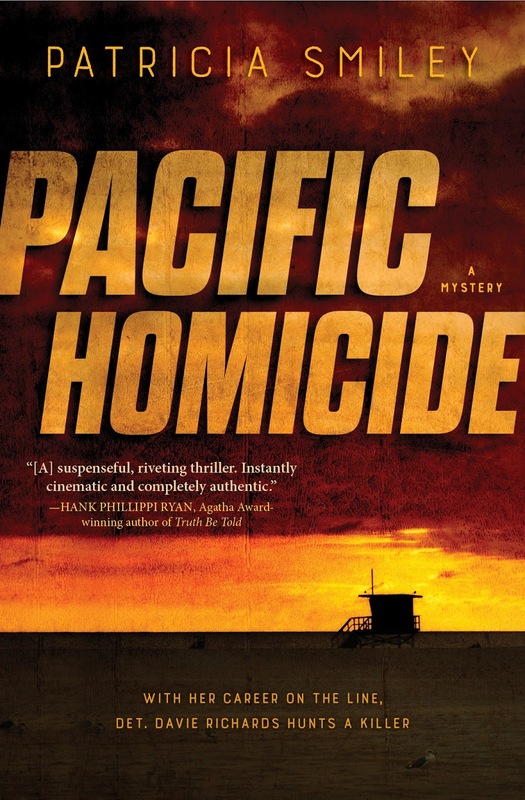 I know, the title is a bit iffy, but don’t get offended – it’s what the play was called, and the writer is Jewish, so I trust he knows best - and it was a good play, with superb performances. Mind you, we didn’t think we would get to see it – tickets were all sold out. But Corinne is a terrier. She decided we would take it in turns to call once every hour, just to see if there were any tickets going begging. 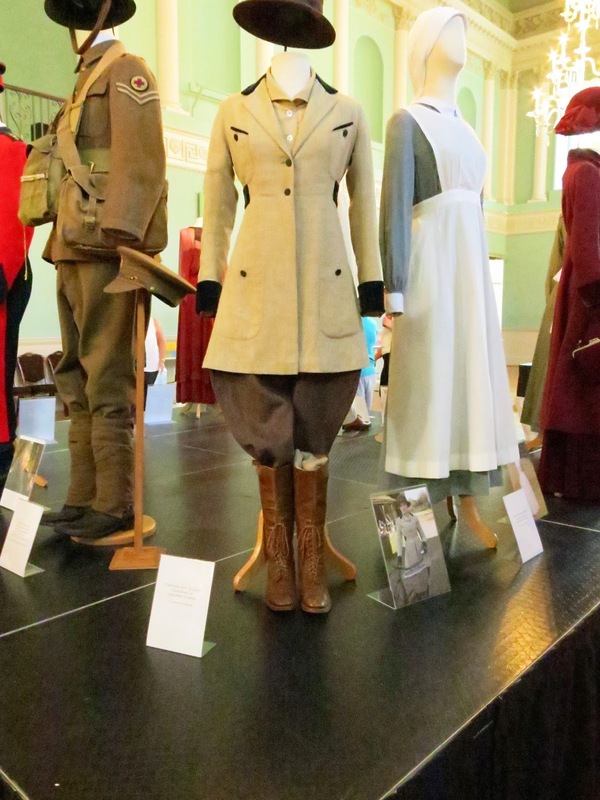 It didn’t look good, but we have had theater karma in the past, so we kept our fingers crossed – and went on to the Costume Museum, which had a special exhibit of WW1 clothing. 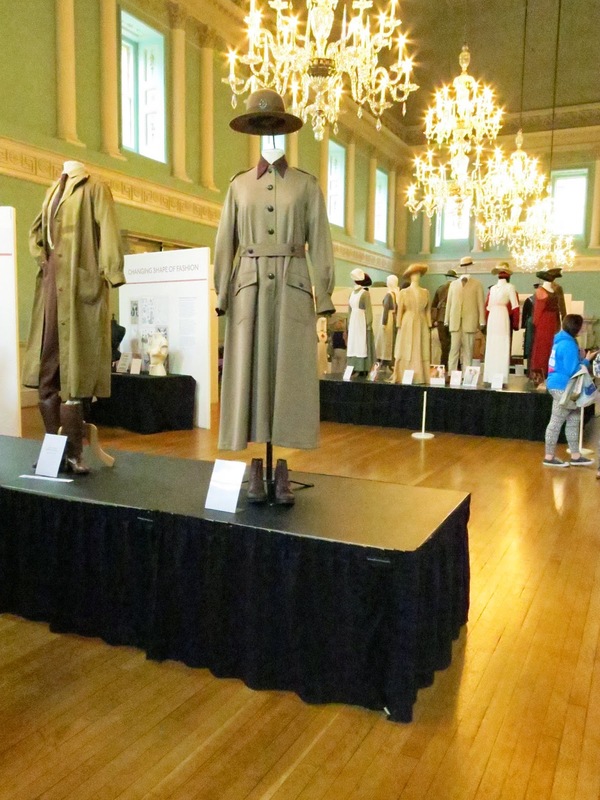 It was excellent, mainly because the clothing was presented in context, with letters, newspaper clippings and posters displayed alongside, so that by the time I was half way around, I was in tears thinking about people who went to war in uniforms such as these. Here are some of the exhibits. And this one was on loan from the TV costumiers - recognize them from the second series of Downton Abbey? 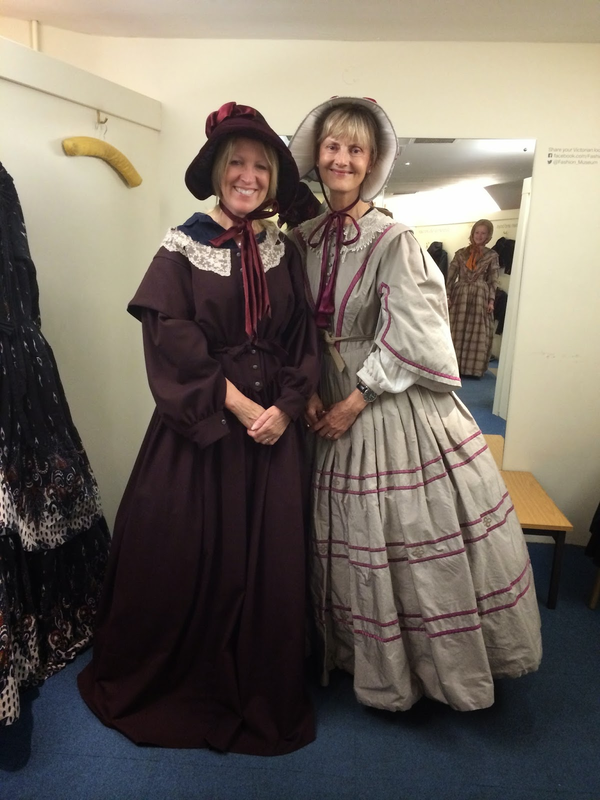 Then we ended up in the dressing-up room. I don’t know if they call it that, but there’s a room where you can try on clothing from the Georgian era – it’s all specially tailored to withstand people coming through for multiple tryings-on, and it was excellent fun. Here we are – being very silly! 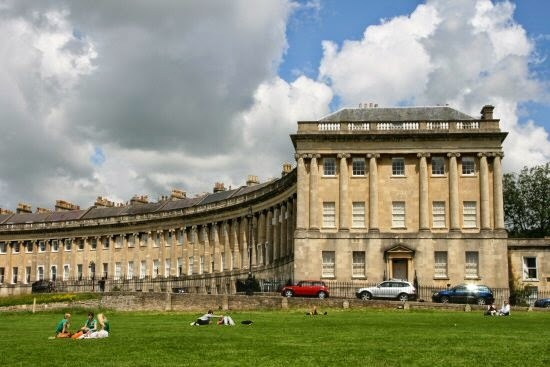 On to No 1, The Royal Crescent, restored to its former glory. This is the Royal Crescent – and it’s gorgeous. 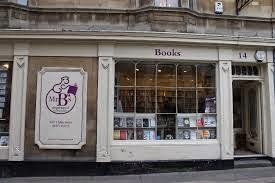 Mr. B’s Emporium is one of my favorite bookstores, so we just had to go there next. I bought a couple of books and we whiled away some time just lingering – bliss. Having persuaded one of the Theater Royal’s ticket agents to break the rules and take our cellphone numbers, we were on tenterhooks as the day wore on. 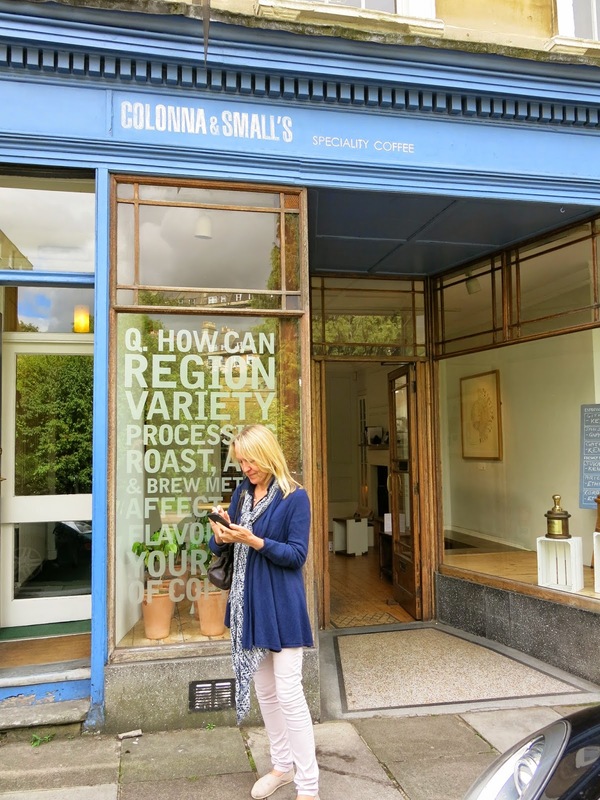 We checked again while having coffee at this little coffee shop – which happens to be quite famous. The owner and chief coffee-maker is an international award winning barista, and let me tell you, these guys are intense when it come to coffee. Frankly, I thought my coffee was a bit cool, but then I read that they never brew over a certain temperature to retain integrity of flavor. 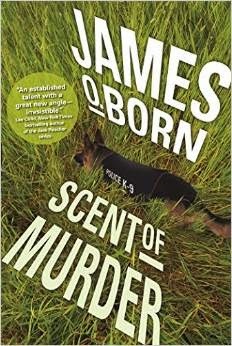 I like my hot drinks hot, so I ended up quaffing it so quickly that any integrity of flavor was quite lost on me. That's Corinne outside, checking her cellphone - again. We hobbled back along Great Pulteney Street to Corinne, Jackie and Jane’s house, and were just about to put our feet up with a nice cup of tea, when Corinne’s 'phone rang. Two tickets to the play had been relinquished due to an unforeseen circumstance – but we had to get there pronto to snag them. 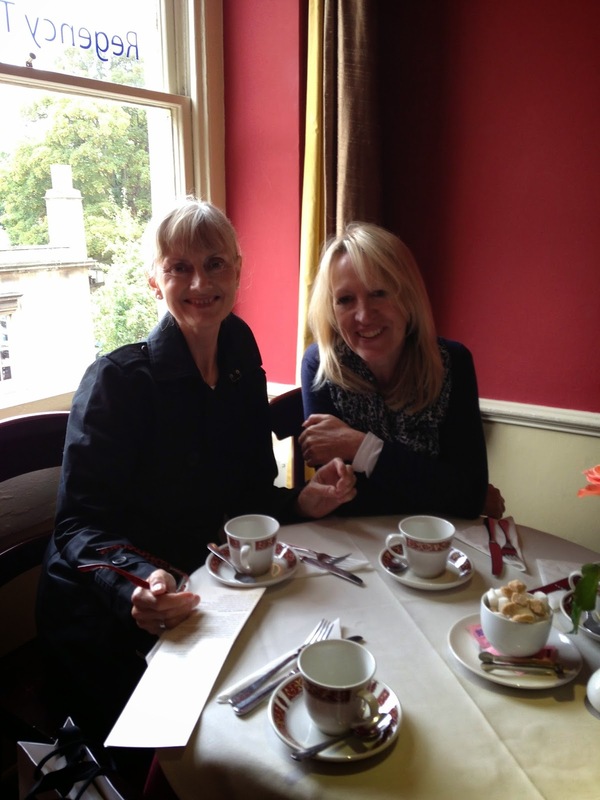 A quick slurp of tea and another rush along Great Pulteney Street and then to the theater – yay, tickets to the play!!! With an hour to kill, it was a no brainer – straight into the wine bar opposite. The following day we had only the morning before catching our train back to London, where I would be staying for a few days “business.” So, more Jane was on the cards – we scurried to the Jane Austen Center. There were two highlights. One was the fact that they had gluten free scones, so I was able to have a real English tea. Second, they brewed their tea from the leaf, and not with crummy tea bags, so it was delicious. And thirdly, well, there’s always Mr. Darcy …. Where to next? You might well ask. I already have a few visits planned to visit my mother in 2015 – I like to see her as often as I can, so I mentioned to Corinne that I would be back in December, February and April. “Oh, the south of France is lovely in April,” she said. And wouldn’t you know it – the EasyJet “flight sale” email landed in my mailbox that same day. We agreed on dates and I booked our London to Nice flights before they sold out (soooo cheap!) - we’re only going for three days, but what the heck – it’ll be another adventure. And you’re only young once . Blissful....everything I would like to do if it weren't that my travelling days are over. 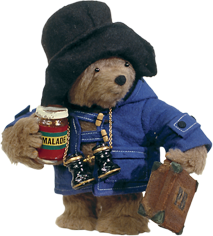 I've been to the UK several times when my son was in the USAF and enjoyed the sightseeing and the fun people I met. 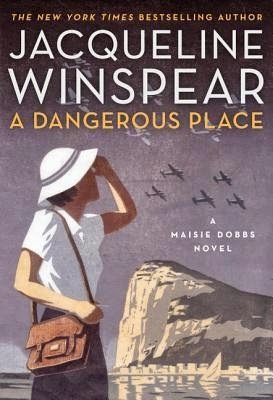 Been a Maisie Dobbs reader from the beginner. Thank you for sharing your talent. Love love love the photos! I took a day trip to Bath while studying abroad in the UK. Alas, we only had time to see the Roman Baths. 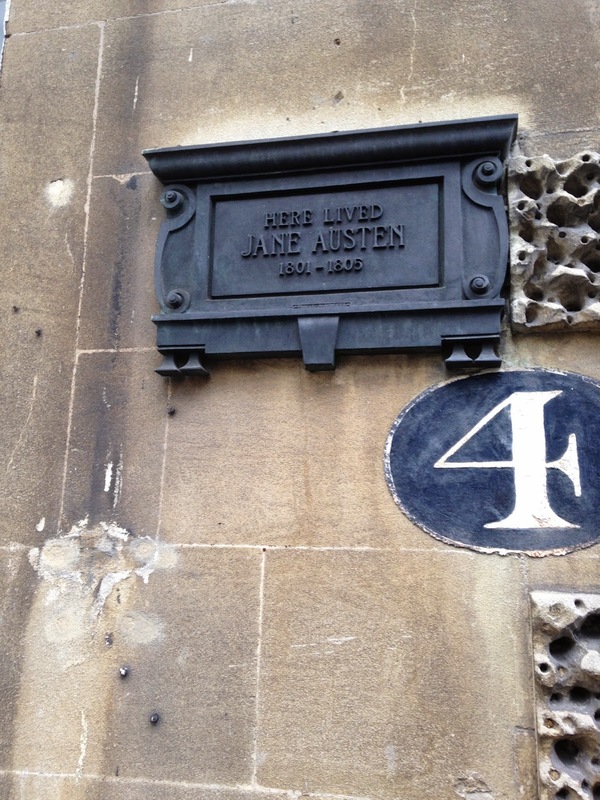 We passed the Jane Austen Center, I have to go back to Bath to see the Jane Austen center and have tea there. My boyfriend mentioned having similar tea at Brown's Hotel in London. I LOVE your Travels With Corrine series. And those pics are priceless. 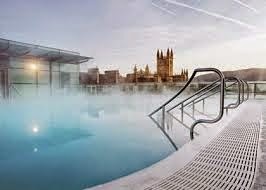 I've never been to Bath but now I must go. That's why they named the capital of Texas after her. Also, You don't have to say a play is not iffy. Just by your attendance it is legitimate. What a delightful adventure! Thanks for taking us along for the fun! From Jacqueline: Thank you, all for your comments - it was a great trip, and shows just what you can pack into a couple of days in a city. When we travel together, Corinne and I always have great adventures. Now let's see if I can post this comment with my iPad - not had much luck in the past! As a Bathonian (I was born in Bath) I'm glad you gave such an excellent tour of my beloved city. Actually Bath has an abbey not a cathedral but it's still a city. Strange, no? And the abbey is one of the most glorious churches in the world. From Jacqueline: Of course - it's an abbey! Sorry about that - but It's grand enough to be a Cathedral! And it is a most glorious place - I prefer to go when it's really quiet though, and not overrun with visitors.